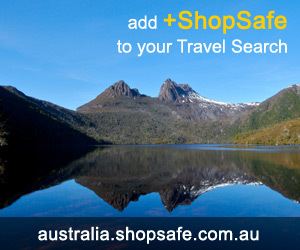 There are 46 shops in the ShopSafe USA Sports Stores Shopping Category. Great site to find merchandise for NFL, College, MLB, NBA, NASCAR and NHL teams. They also have a wide variety of products ranging from kids jerseys, women's jewelry, men's hats, and infant accessories from brand names like Adidas, Nike, Reebok, and more. A wide range of sporting footwear and apparel at affordable prices - footwear and apparel for Basketball, Cycling, Outdoor Sports, Running, Soccer, Tennis, Training and much more. Golfing Equipment - Balls, Bags, Clubs, Apparel and Footwear - Men's and Women's, Accessories - Umbrellas, Ball Retrievers, Push/Pull Carts, Books, DVD's and CD's, Personalized gear and heaps more. Receive a free six issue subscription to GOLF Magazine with your TGW purchase of $20 or more! Teadmills, Ellipitcals, Agile DMT's and Combo's - Smooth Fitness equipment is sold direct from the manufacturer and only on the Internet. Get the convenience of shopping online combined with factory direct savings of 40-45%. Outdoor gear specialists, clothing, footwear and gear for the whole family - Camping and Hiking, Snowboarding and Ski, Snowshoes, Climbing, Travel, Running, Cycling, Paddling Beach gear, backpacks, knives and tools, maps and much more! Get free shipping on orders over $45 plus live help for instant assistance! Moosejaw offers mid to high-end mountain apparel and outdoor equipment for men, women and kids. They sell over 8,000 products from brands including: The North Face, Arcteryx, Patagonia, Marmot, Mountain Hardwear and much more. Receive free shipping on orders of $49 or more. REI offers gear, equipment and clothing for outdoor activities, including: climbing, hiking, cycling, paddling, snow sports, travel and more. They also offer expert advice to help you with your outdoor sport. Get away for the holidays with REI Adventures! See insite for booking details. 24 Hour Fitness provides membership to over 385 clubs across America, and also sells personal training and an array of fitness and nutritional products online. Ice Jerseys are where 'real hockey fans shop' - These guys stock NHL jerseys and apparel, plus you can customize and design your team jerseys. There's also a Hot Deals section for on sale gear where you can save up to 50% off on selected merchandise. SKLZ offers both skill development and performance training products for several sport categories including baseball, golf, basketball, fastpitch, soccer, football, volleyball, tennis and lacrosse. With a growing library of training videos and product use videos and a customizable training platform developed in partnership with Athletes' Performance, SKLZ has proven it is a sustaining force in the training category. All else failed? Let us help. If you want to see more Sports Stores here, please e-mail sports_and_leisure@shopsafe.cc. Please do not change the subject line of your email. If the subject line does not contain "Add to ShopSafe Online Shopping" it will not be read.